Raymond Alberti (Ray) joined Southeastern Commercial Finance in December of 2008 as Senior Vice President of Credit Administration. Ray supervises the Operations, Underwriting and Portfolio departments of Southeastern Commercial Finance. He was a resident of Arizona and graduated from Arizona State University with a Bachelor of Science degree in Finance. 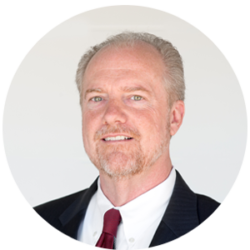 Mr. Alberti has worked for five different commercial lenders in the small to middle market in his 25 year asset based lending career. He has held positions in Audit, Portfolio, Underwriting, Sales and Management. Ray is active in and has been an instructor for the Commercial Finance Association. Outside of the workplace, Ray’s interests are coaching youth basketball, performing Christian ministry work and traveling with his wife.